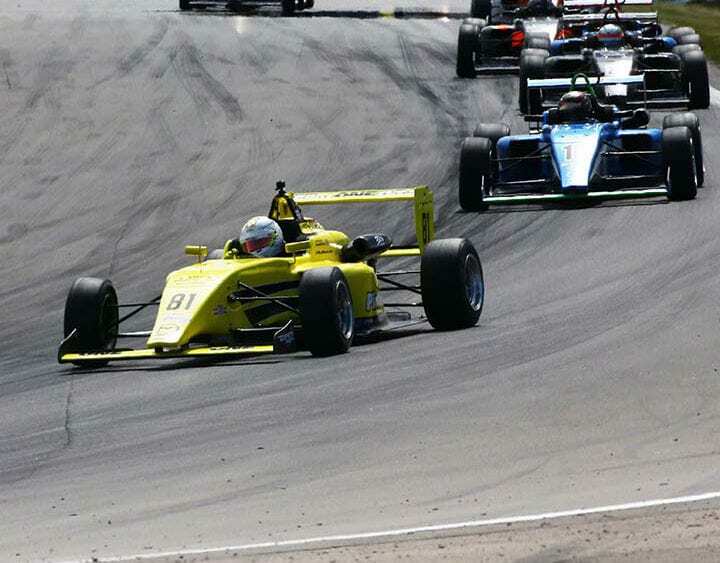 Leading the Team Pelfrey charge in all four sessions over the Watkins Glen Race weekend, Kaylen Rex and MRTI drivers loved the high speed and flowing Glen Raceway, at one time host to the F1 circuit, CanAm, and storied and gloried history rich in racing. Frederick, 15, added another top-five finish to his Mazda Road to Indy record with a solid performance as he secured fourth position behind Calvin Ming of Pabst Racing. The morning session Practice 1 was damp at start but quickly dried for a 12 lap and 30-minute session on the 3.37-mile track. No times were available for Kaylen and 4 other drivers due to series transponder issues. Kaylen pushed the No. 81 Pilot ONE Racing No 81 into the 4th quickest time in the afternoon Practice 2 with a fast time of 1:47.337 seconds. There was work to be done However as the time was .6 seconds off the leaders. During Saturday morning qualifying, K-Rex recorded his fastest lap times after a quick pit stop for fresh Cooper Tires enabling a start on the inside of row three for the Race. Kaylen chased the fast times throughout the session, topping the charts for a brief period. Understeer prevalent throughout, Kaylen finished the session P5 in a 20-driver field, bested from a 4th place start in the closing 10 seconds by 1/10. This would prove to be crucial in the race start ahead. Lining up in 5th, the driver ahead starting in 3rd was slow to get away as the flag went green, holding up Kaylen’s line. The driver next to Kaylen in 6th, Calvin Ming, however was able to vault to 3rd in the opening corners. Moving forward, Kaylen secured 4th place by turn 2. Although the setup had been adjusted, understeer remained problematic. K-Rex built up a 1.8 second advantage on the DeForce driver in 5th place behind him, however was unable to remain with the three leaders. Kaylen crossed the line at the checkered flag in 4th in the final race in the 2017 USF2K season.